Description: A Wild Cajun Woman learns to live in the rural forested Appalachian Mountains of Southeast Tennessee. 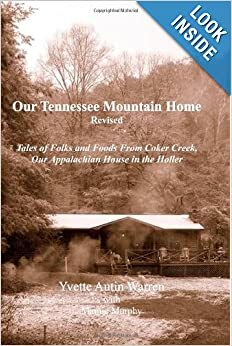 In this book, meet the folks and foods that make this House in the Holler her and her husband’s home. My Review: This collection of essays about the author's adventures in Appalachia was a delight to read. It's the perfect book to curl up with in front of a crackling fire, or the ideal read while sitting in a rocking chair on your own front porch. This book is about the simple joys of family, friends, homemade melt-in-your-mouth food, nature, and community. These heartwarming (and sometimes humorous) tales left me with a feeling of gratitude for what is truly important in life--home and hearth. 5 out of 5 stars. Description: These are tales of love, laughter and longing. From the lakes in Louisiana to Appalachian Mountain Forests, life is for celebrating. In a life with family and friends, every day is a holiday. This collection is an effort to impart the joys of this way of life to those who have been looking for a way to savor the simple in modern day America. Guffaws, giggles and gratitude fill these stories of fun, foibles, friends, family, and faith in the rural mountains of Appalachia. My Review: This follow-up book to Volume One was well-worth reading. 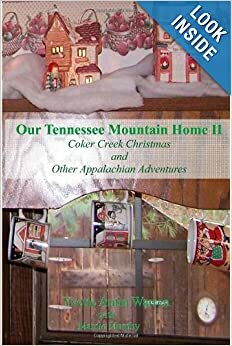 I enjoyed learning more about the Appalachian paradise the author calls home. In this book, we're re-introduced to our favorite folks from the first book. The residents of Coker Creek find bliss in gardening, working hard, and simply visiting with a neighbor. These glimpses into mountain life prove we don't need technology to make our lives complete, though there is one tale where a technological glitch results in a lovely, scenic tour.